A public debate featuring candidates for the office of Trustee will be held on Thursday, October 23rd, at 7pm in the Ottinger Room at the Croton Free Library, located at 171 Cleveland Drive. Doors will open to the public at 6:30. 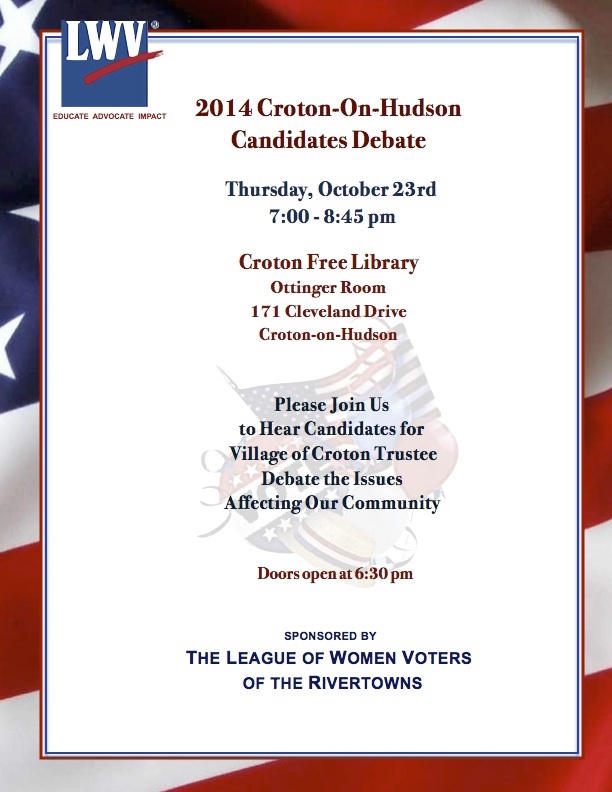 Croton residents are encouraged to arrive by 6:30 if they wish to submit a written question to the candidates. This event is free and open to the public. It will also be televised and air on the Local Government Public Access channel 78.